It’s true, we named the vanity Eloise. And this girl is finally finished. Enjoy the progress photos! 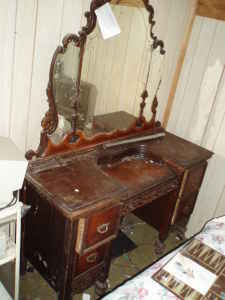 This is the actual picture on the craigslist posting where we found the vanity. A little rough, yes… but with obvious potential. Then we sanded her down real good. And slapped on a coat of primer. After removing the mirrors for ease of painting, we found an old picture of a couple and a piece of mail dated 1974!! They had fallen down behind the mirror decades ago! I love little glimpses of the past. I want to know the full story of this cute couple!! JACKPOT if you ask me! We added our own stamp of history. That way, 50 years down the road, when someone is stripping off the paint and cursing the person who would PAINT such a lovely piece, they can know us by name. We gave her a fresh coat of Krylon’s ‘Blue Ocean Breeze,’ and my favorite part comes next… glazing! Full GLAZING tutorial HERE! And you can purchase the technique glaze here. I love it so much! 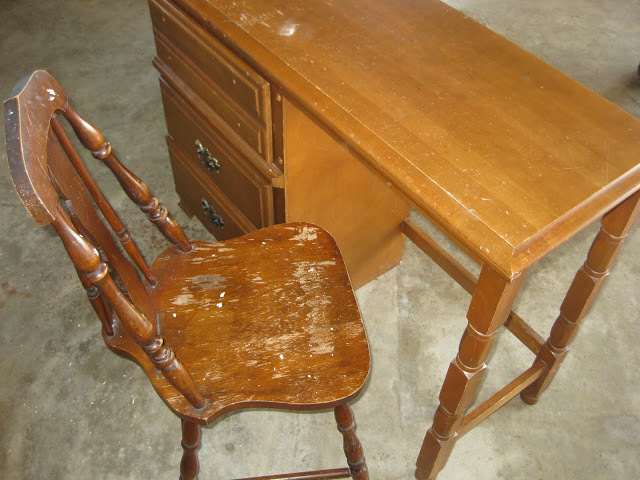 Be sure to check out our other Furniture Transformations and Refinishing Techniques! While I think you have done an beautiful job on this project, I’m afraid I would be the couple 50 years from now; I would prefer to see the piece brought back to it’s original grandeur. I’m just wondering how you went about sanding this? 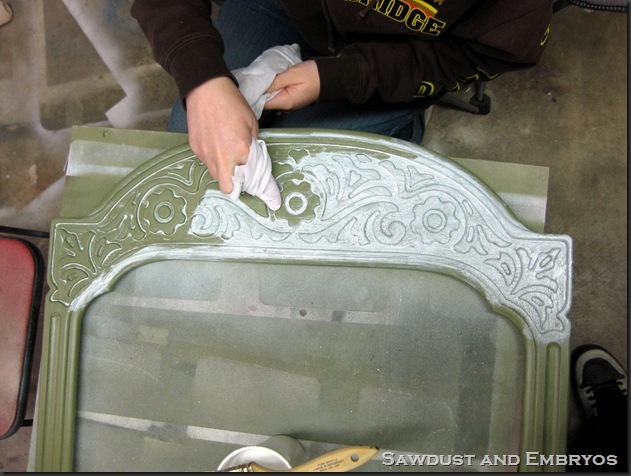 How did you sand all the ornamental pieces/ curves, etc? I have a painted piece that I am sanding down and want to stain the natural wood, but I’m finding it difficult if not impossible to sand in all the ornamental grooves without messing up the piece :(.. any advice would be appreciated! I love that you didn’t go all Annie Sloan chalk paint on this. It seems that is all we see nowadays. I like the different applications that make the details popl As usual, awesome paint tutorial. Awesome! 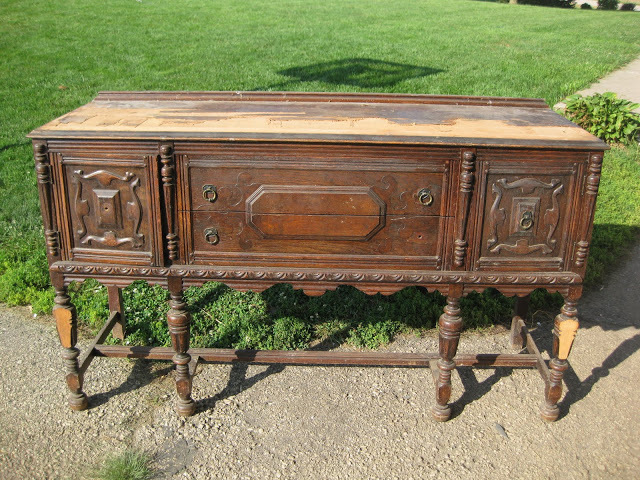 My sister Val in Lethbridge, Alberta just told me about your site and this dresser which in my opinion, is a work of art!! Thanks for NOT doing the chalk paint thing which is getting really tiresome! 1. I’ve just found your site, and have been unable to pry myself away for over an hour now. 2. You’re a creative genius! I love that the projects are simple enough for the average Jane to conquer, and the finished products change the entire feel of the space, and or piece. 3. 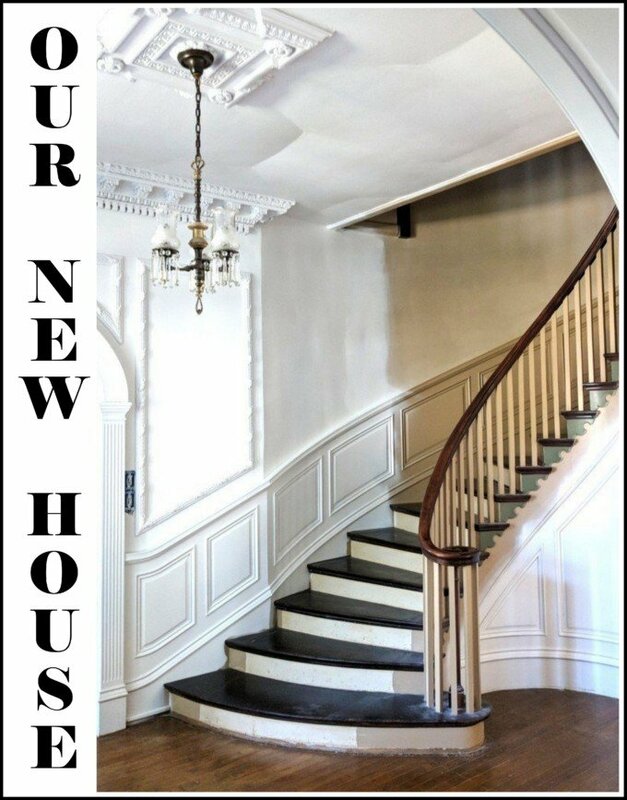 Now I have these awesome budget friendly guides to finally break up the monotony of our completely neutral, bare walled house. Wow, the pictures are absolutely beautiful. I would’ve loved to have details about how you applied the glazed and wiped it off, etc. When I’ve applied glaze, my piece always looks dirty. Yours is absolutely gorgeous. Linda… I just realized I never responded to your comment. I’m so sorry! When you’re glazing, the outcome depends a lot on the sheen of the paint you’re glazing on top of. 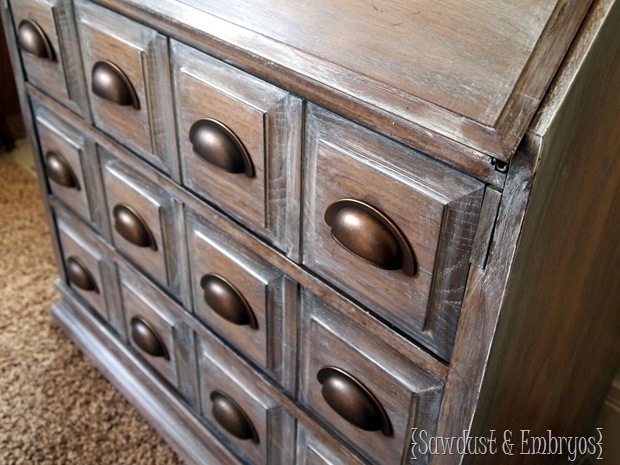 If it’s a flat or eggshell paint, your piece will end up looking a lot ‘dirtier’. If you have a glossy piece, you’re able to wipe ALL the glaze away… just leaving it in the cracks. Depending on the piece, we like both looks. It’s just really up to your personal preference. Hope this helps! Wow….. Dope! It’s just D-O-P-E! Beth, Ms. Lady- you are the Bomb.com!!!! Keep up the fly work! Ooh… Dope! It’s just DOPE! Beth, Ms. Lady- you are the Bomb.com! Massy, if you’re just wanting to paint it, don’t worry about stripping anything. Just sand everything down slightly so it takes the ‘sheen’ of the previous paint, and then prime and paint! Simple! Please send pics when you’re done! I cant attach pictures here 🙁 Where can I email them to you? IM SPEECHLESS !! I TOTALLY LOVE YOUR SITE AND IVE ONLY SEEN 2 PIECES SO FAR. THE BUFFET ( WHICH I FELL IN LOVE WITH & THE COLOR ) AND THIS VANITY. I AM DEFFINATLY GONNA TRY THIS. ITL BE MY FIRST TIME BUT AFTER SEEING WHAT YOUR PIECES LOOK LIKE BEFORE/AFTER…YEAH IM DEFF TRYING. KEEP UP THE AWESOME JOB NICK & BETH !! wowwwww!!! you have such incredible furniture finds! crushing over your love of color!! Hi Shanna! We just used a black/gray glaze on this piece. I love this piece! Great job! I was also wondering what color of glaze you used? Ilove this piece. It turned out so awesome. The detailwith how the wood swirls and the glaze picks up on them so nicely. 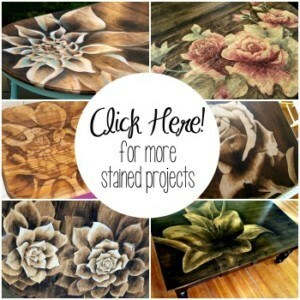 You have a great eye for redoing furniture. So enjoy looking thru your pieces that you have brought back to life. Thanks for sharing. I found one just like this last night at my local thrift shop! I am inspired to try doing this technique and doing it bold like you have! I would have never thought of blue, but it is so perfect. Super fun! Do you tint your own glaze by adding paint to plain glaze? I rarely make comments but I have to tell you the transformation is absolutely gorgeous!!! Wow, congratulations for seeing such potential! I absolutely LOVE the result! Gorgeous! Visiting from Better After, and that dresser is jaw dropping!! Absolutely amazing! Oh…my…it’s so pretty! I came over from Better After. It truly is a thing a beauty. I wish I had the money I would totally buy this – it is gorgeous! Want! 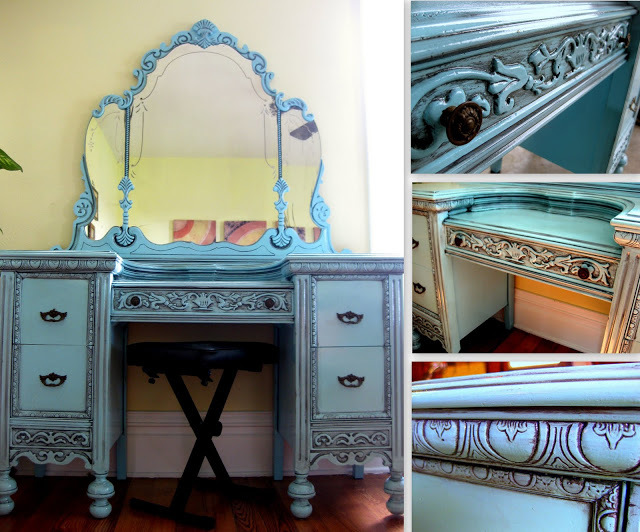 The mirrors, the carved details – it’s lacy furniture! I am so JEALOUS! This is such a crazy awesome piece of furniture!!! Great job! I love everything about it! From the beautiful detail, the color, the glaze! Thanks for sharing how you did it too! Oh wow, what a beauty!! That’s what I call a major craigslist score! And you did a wonderful job refinishing it. I’m sure you’ll enjoy it for years to come. WoW! Saw you over on All Things Thrifty and what a beautiful peice!!! Gorgeous! What an incredible piece. I just love how it turned out!!! Wowzers, what a GORGEOUS transformation! So…lucky…I am totally jealous!! You did a great job. Awesome color choice! 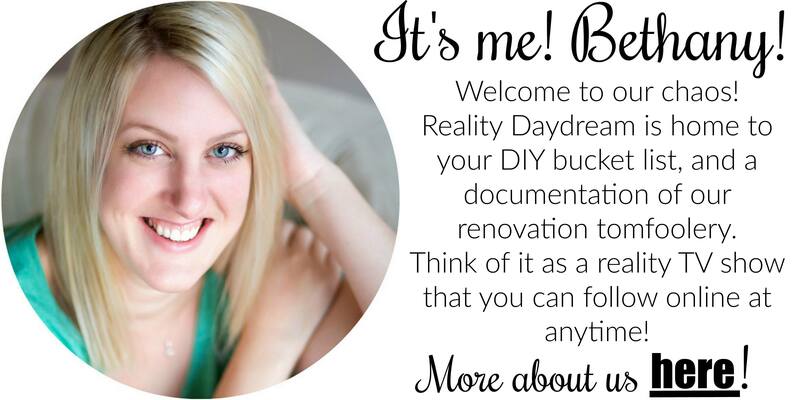 Just found your blog and am looking forward to following you and seeing many more great finds like this one! WOW….I would love to have her in my house! You guys did an awesome job and should be proud! She looks amazing!!!!! it’s a great piece…love the fact that you found some history tucked inside…you should track them down and get their story! i was wondering, do you still have that vanity you used to have? 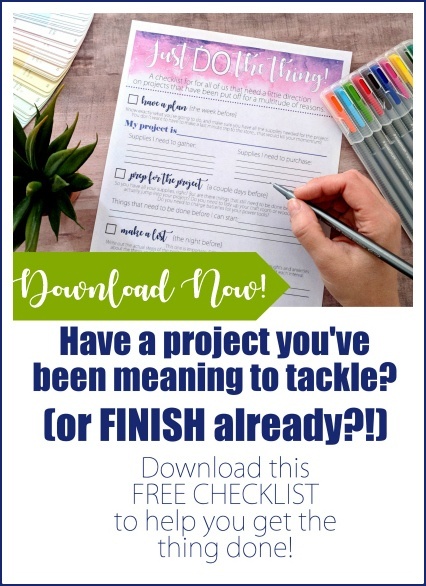 that would make a great project too if you haven’t redone it already! Looks good! I’ve never glazed before. I should really give it a try sometime.